It seems that any type of land excavation can potentially cause earthquakes. Researchers in the U.S. have determined that 200 years of underground coal mining triggered the Newcastle Earthquake. This earthquake killed people and cost US$ 3.5 billion worth of damages, which is more than the coal mining they have generated. Cliff Frohlich, a scientist at the University of Texas and author of ‘Texas Earthquakes,’ believes that there have been more than 20 Texas earthquakes in the past 100 years related to drilling for petroleum and gas. Yet he also says he doubts that a serious earthquake would ever result from this drilling. 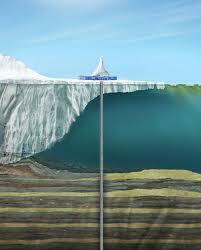 In 2006 in the city of Basel, in northern Switzerland, a geothermal project was shut down. Although no one was injured, the officials believe the earthquake was caused by the drilling and cost US$ 9 million in damages. Although 20 earthquakes were felt after the drilling for geothermal energy started on Canlaon Volcano in the Philippines, there was no hard evidence that can correlate that the drilling deemed causes the earthquake. In Arkansas, an oil drilling moratorium was instituted due to earthquake activity in March 2011. The opinion surrounding this event and why the public was not made aware of this is due to the oil companies having power in the media. 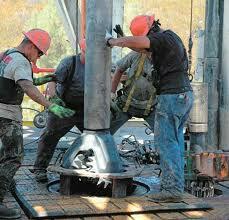 US$ 200 Million dollars has been allocated to geothermal energy drilling by the federal government. They will be drilling down 2 miles near the town of Anderson Springs in California. This area is laid with faults, however, Altarock Energy is getting around that issue by stating that they will only drill where there is a history of small quakes and therefore their drilling is safe. Altarock did not admit that the Basel program was shut down because it caused an earthquake even though the Swiss government seismologists and officials on the Basel project agreed it did. 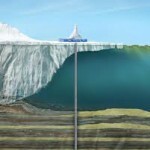 Altarock energy Inc. will admit that they have improved the method and it won’t cause serious earthquakes. Maybe this report is what helped them sustain their drilling practices even though it has risks.